Love botanical art? New member reviews happen every April and October. Contact co-directors Beverly Borland or Kristi Bettendorf for application guidelines. 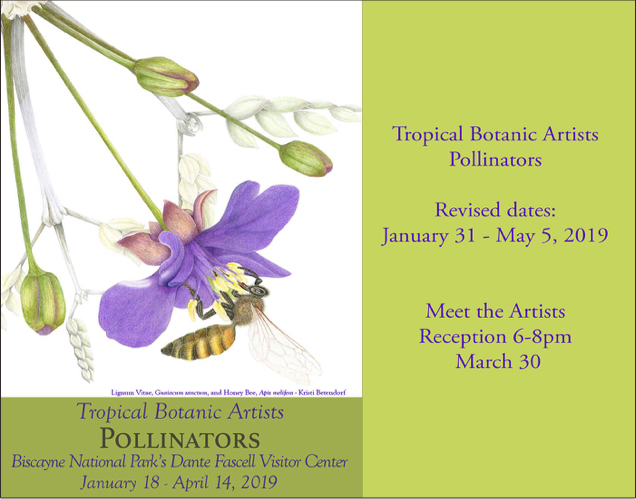 Our Pollinators exhibition at Biscayne National Park received a mention in the newsletter of the Great River Chapter of the American Society of Botanical Artists. Our Pollinators exhibit mentioned in Miami Today. Thursday March 28, 2019. 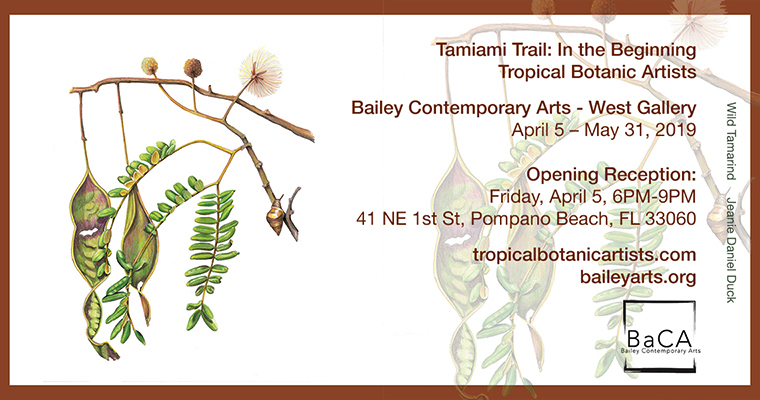 Our Tamiami Trail: In the Beginning exhibition mentioned in Pompano Beach Arts for April 2019 at Bailey Arts Contemporary. Our Encounters: Friend or Foe? exhibition mentioned in the Upper Keys Weekly, March 21, 2019.